There's a fleet of Nokia-branded smartphones around now, and a number of the handsets will be getting a new feature very soon, as the firm confirms face unlocking will be heading their way. Tweeting in response to a person's question about a face unlock update, the verified Nokia Mobiles account confirmed that the Nokia 8 Sirocco, Nokia 8, Nokia 7 Plus and new Nokia 6 would all be getting the feature in the coming months. 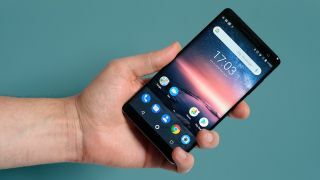 HMD Global - the firm behind the resurgence in Nokia-branded smartphones - had already confirmed that it would be bringing face unlock to the new Nokia 6.1 at a later date, but it's good to see the company rolling out the feature to more of its devices. We still don't have anything more precise than "in the coming months" for when you can actually expect the feature to land on your smartphone. We've contacted HMD to find out more information on this plan, and we'll update this article with more information when we have it.